I'm taking some time to work on the 2016 calendar, to add to my etsy shop in October, and drew this pretty lady for one of the spring or summer months. You can also purchase the print here! What do you think? 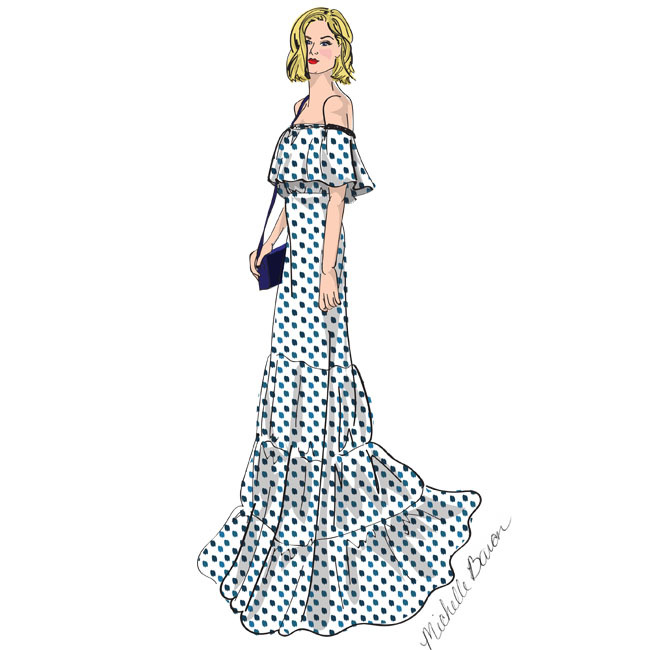 Any styles or trends you'd like to see in the 2016 calendar? 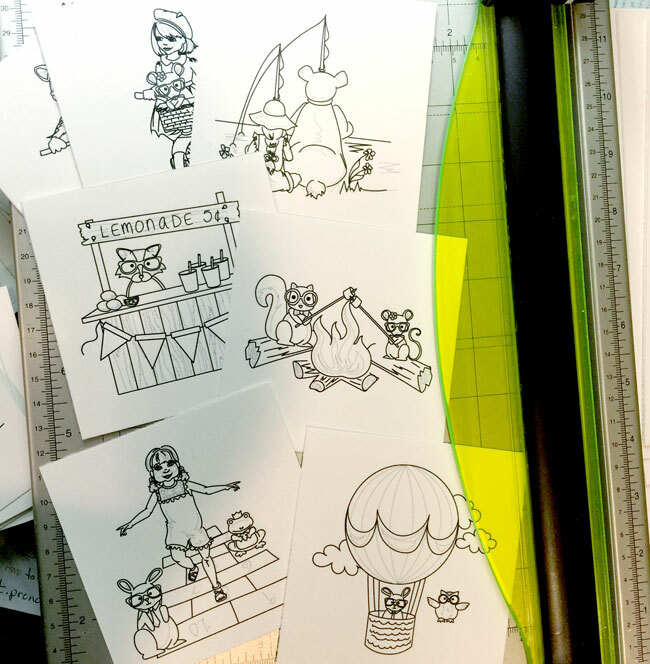 Illustrated "coloring book" pages being cut out and prepped. 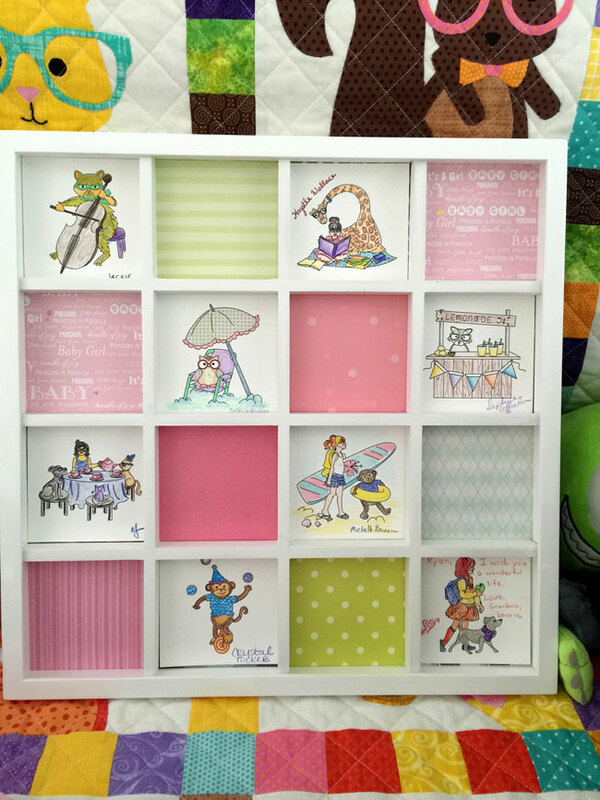 The finished colored pages in the frame and ready for the nursery as well as a peek at their quilt! 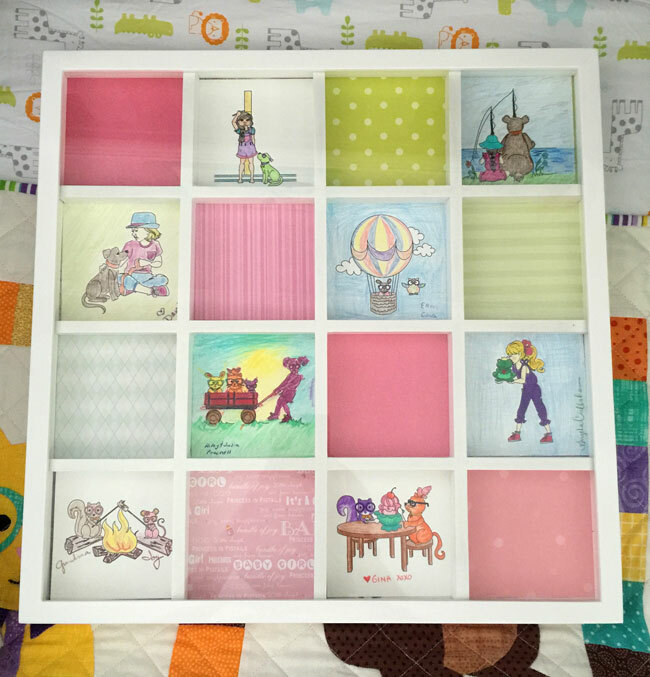 Finished colored pages framed and ready for the nursery as well as a peek at their quilt! Back in August I worked with my extremely creative friend Gina to put together these adorable illustrations/coloring pages for our friend Trish's baby shower. 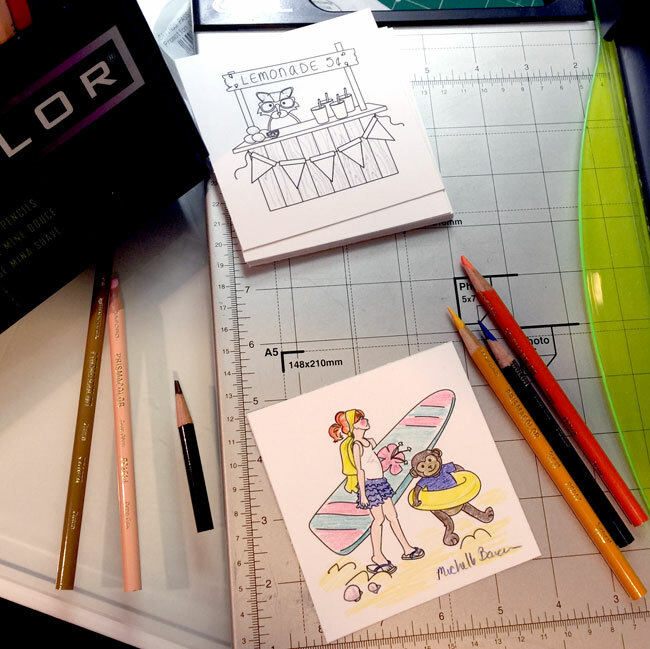 OK so back to the point of this post... Gina's idea was that, as a shower activity, we create black and white line illustrations that guests could color in like pages of a coloring book. And then these colored pictures would be framed for art for Trish's nursery. I just thought this was one of the most unique shower activities and was more then happy to help out! What do you think? Isn't this such a cool and creative idea? If you love this idea and would want to do this for your next shower email me for more information! Also a special note to Trish I can't wait to hear about your baby's arrival and to meet her! See you soon!! Ok can I just tell you I've had a "pinch me" week! 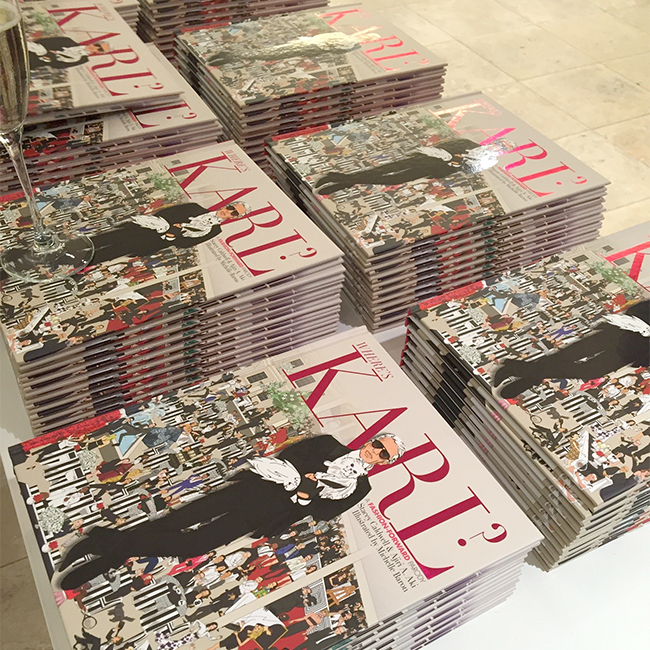 Where's Karl? 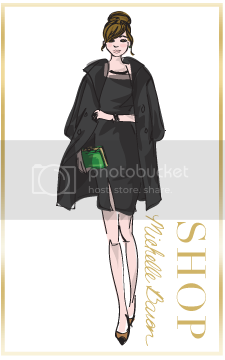 : A Fashion Forward Parody was released on Tuesday and then Wednesday night I got to take part in a book signing with the lovely authors, Ajiri Aki and Stacey Caldwell, at Barneys New York! which was so much fun! 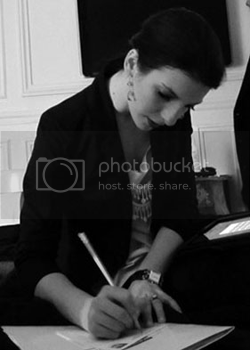 (Above are some highlights from the signing.) 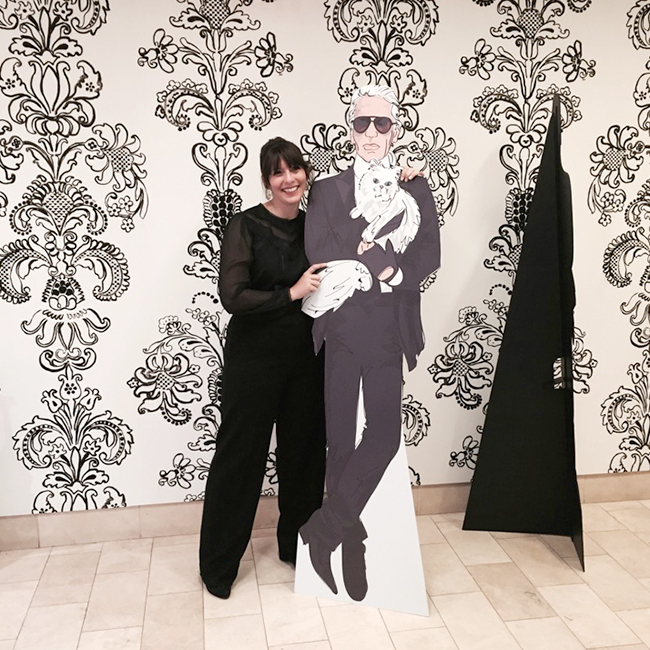 And then Thursday Instyle.com featured an article Meet the Women Behind Wheres Karl? 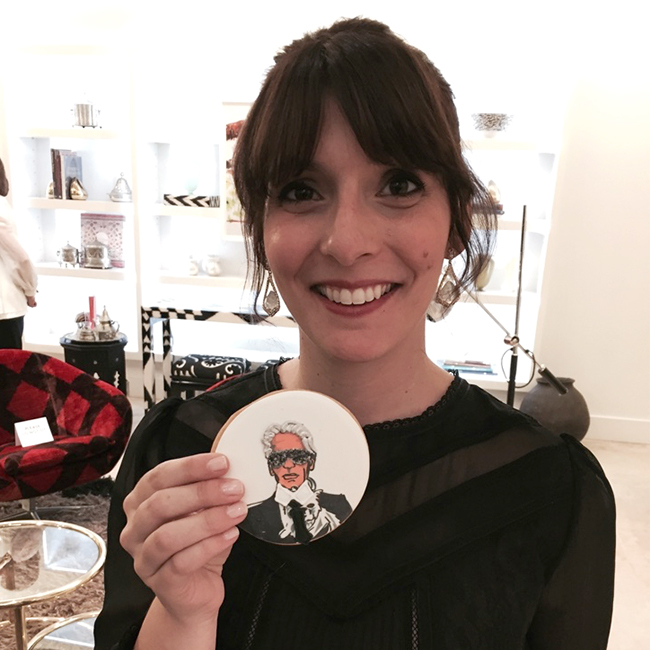 : A Fashion Forward Parody About Karl Lagerfeld. I still don't think any of this has quite hit me yet, but I'm so excited and I just have to say one more congratulations to Ajiri and Stacey! This has been amazing and I hope it only continues to surpass your expectations!! 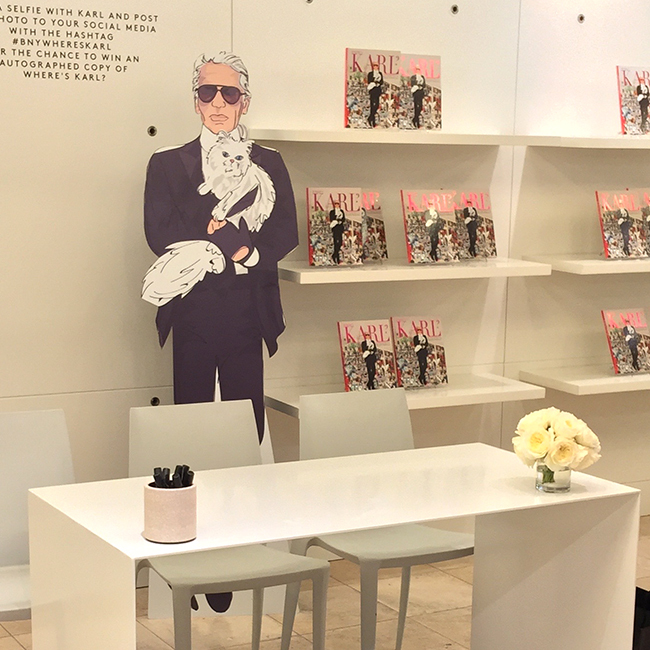 So back to Barneys, they had life size cutouts of Karl throughout the event and cookies with illustrations of Karl printed on the front. 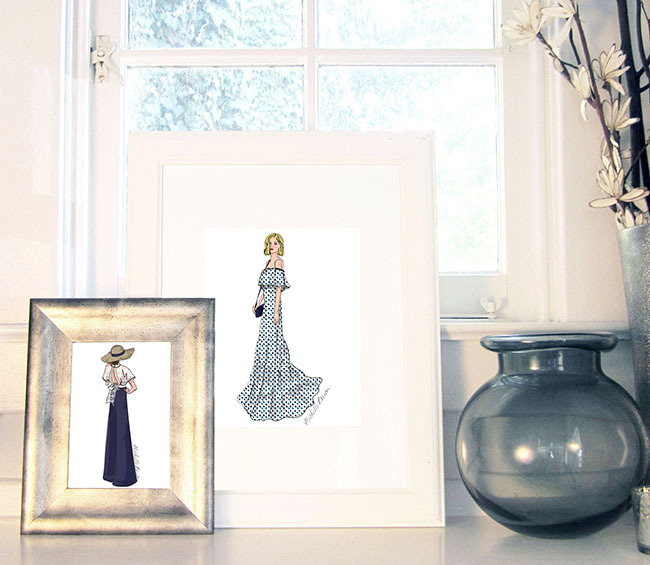 It was beyond cool to see my illustrations like that! I also got to sign books for and meet so many amazing people, including some who are illustrated in the book!! All I could think was just "wow!" 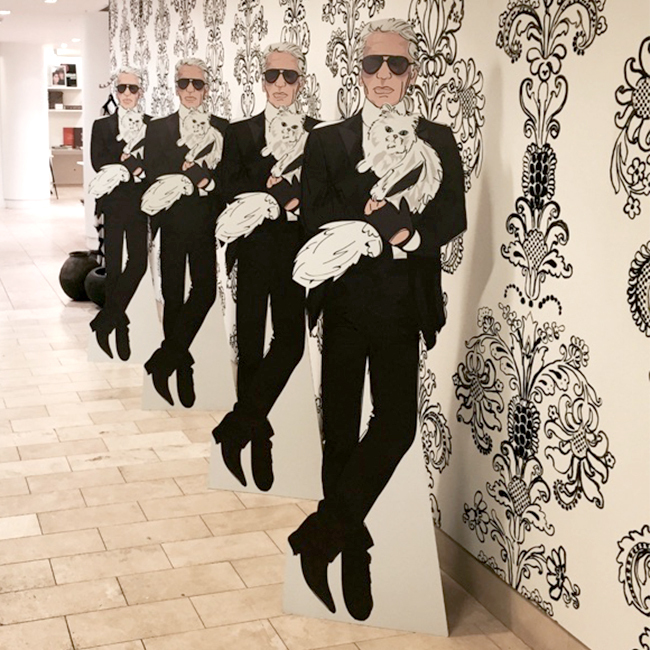 If you can, stop by a store; in NYC, Chicago, or LA and take a selfie with Karl and use hashtag #bnywhereskarl to enter for a chance to win a signed copy of the book! Did you get your copy of the book yet!? If so I hope you enjoyed it! !